Anyone here who wants to have a free staycation? Or are you looking for an affordable hotel on a last minute? 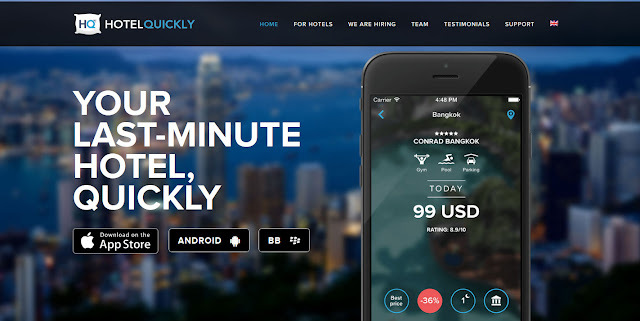 Well, I discovered this app called Hotel Quickly from Frugal Yet Fab blog. HotelQuickly is a mobile-only, last-minute hotel booking application with the biggest inventory and best rates available across Asia. With the most exclusive hotels in the region on offer, our users enjoy the fastest and most convenient way to book the most attractive last minute hotel room. First is to download the app or click here. Then, sign up for an account. After that, redeem your credits. Tap on the credit tab from the Menu and enter the code NNARV1. Click on REDEEM. 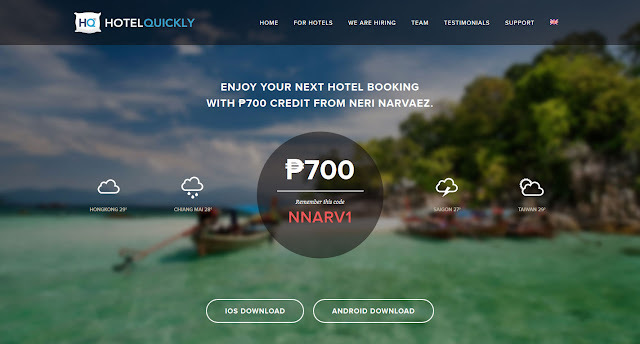 Now you already have a 700PHP credit that you can use right away! You can get more credits by inviting friends to download the app. Plus you will get a $1 when you share it on Facebook and Twitter. Don't forget to enter my code NNARV1 when you download the app ok?